Gayle is board certified in Integrative Medicine by the American Board of Physician Specialties through the American Board of Integrative Medicine. She is also a Founding Diplomate of the American Board of Integrative Holistic Medicine. Gayle is trained in Internal Medicine, has over 25 years of post-graduate training in Biodynamics of Osteopathy in the Cranial Field and has been a One Brain Stress Defusion Facilitator since 1990. Gayle received her BS and MS degrees in Botany from the University of Vermont and her MD degree from Autonoma University of Guadalajara, Mexico. She completed her Internal Medicine residency at Robert Wood Johnson School of Medicine. 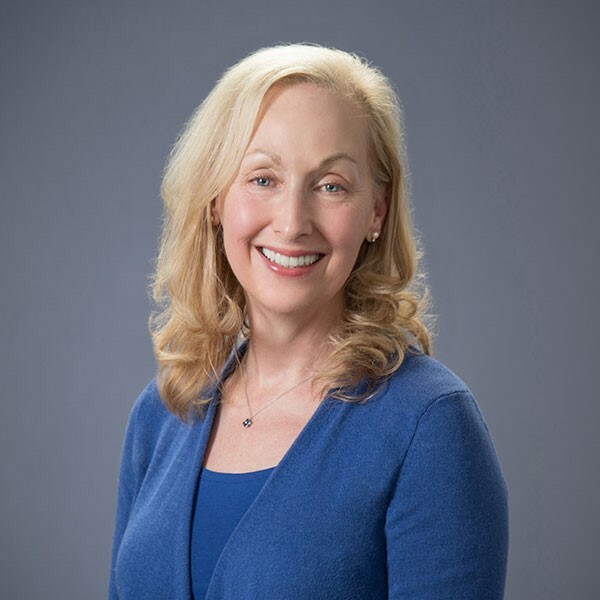 In private practice in Vermont since 1990, Gayle is on the teaching faculty of the Berkshire Osteopathic Study Group and Biobasics Courses and is a consultant for Bioesthetic dental, orthodontic and maxillofacial surgical patients. She is a member of the Academy of Integrative Health and Medicine and the Institute for Functional Medicine. Gayle has extensive studies in meditation and is the co-founder and co-director of the Intuitive Awareness Center in Georgia, VT.
Gayle's own personal journey of acute and chronic pain, paired with her depth of skill, gives her an understanding and compassion for each patient’s healing journey. I love watching my patients restore their health, so they can share their gifts with the world. In private practice in Vermont since 1990, Gayle has a depth of skill, understanding and compassion for each patient’s healing journey. As a patient for over 20 years, I am so grateful to have worked with Dr. Myers healing acute IBS, recovering from a number of car accidents, and resolving and moving beyond significant trauma issues. Her integrative and holistic approach has particularly aided my healing without serious complications or repercussions from side effects of traditional medical treatments. The breadth and depth of her knowledge and experience promoting wellness and resolving illness have brought me to better health in my 50’s than I was in earlier years; indeed, Dr. Myers has awakened my awareness of what health really feels like – it’s delicious and has helped me realize how much I used to tolerate because I thought it was “normal.” I highly recommend Dr. Myers, particularly to anyone who has been having difficulty getting better from chronic issues. I have received osteopathic treatments from Dr. Gayle Myers for the past 8 years. I initially went to her for issues related to anxiety. She has since treated me for various body pain, yeast infection and parasite issues. Gayle’s effective visualizations combined with her hands-on treatment have worked very effectively with my anxiety. I continue to use the visualizations on my own today, and still go for occasional preventive treatments, as they are very relaxing. But more important, she is very knowledgeable about allopathic medicine and has worked in partnership with several of my doctors to help bring me back to health. In particular, her immune building formula for rebuilding the stomach lining and good bacteria has been invaluable. It is a tedious regimen, but so far it is working! I recommend her without hesitation. Dr. Myers was an important team member in preparing me for orthognathic surgery. She improved the function and health of my mental and physical being so that I would have a smooth recovery. Through this process I have learned more about myself and how our bodies work. My most significant challenge was Meiniere’s disease which was causing me balance loss & vertigo, sometimes lasting up to 24 hours for vertigo and days for balance loss. I rarely have vertigo or balance issues, but continue to get help 15 years later. Throughout the years, I have received help with sprains, strains and a broken foot. Other medical conditions that have been helped were a chronic issues I had since I was a child, plus nutritional studies, have resulted in me feeling healthy at 67. I was seen by Dr. Myers throughout my pregnancy with my son, not only for nutritional guidance, but also for osteopathic treatments. I had these treatments monthly and I feel they are what kept my back and sacral pain under control and well as lessening my restless leg syndrome. I also believe that these treatments during pregnancy, as well as the treatments my son had following birth had an enormous impact on his health and well-being. He had no postural issues when born, was a very calm and happy baby, had his first teeth at 3 months and all his teeth by 11 months, with never having symptoms of teething (pain or fever), and did not have an illness through his first 2 years of life, and has only had 1 cold since then. I am now pregnant with my second child and the only thing I have been certain of is that I would not go through this pregnancy without these treatments. I want this baby to have the wonderful start to life that my son did.